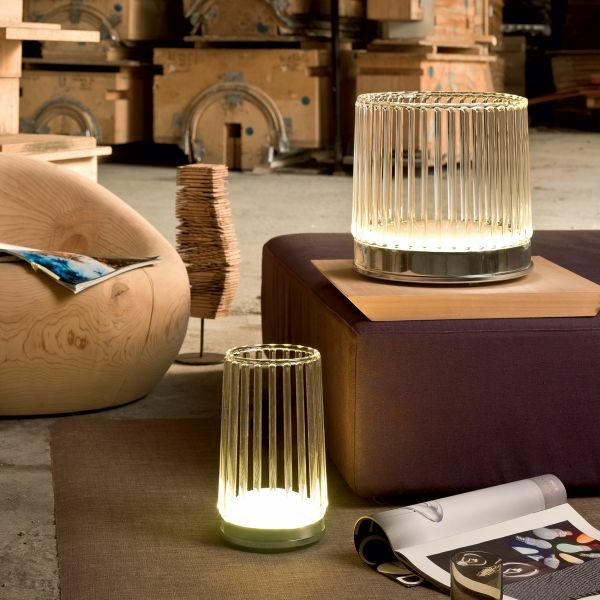 Product information "Klint Table Lamp"
The Klint Table lamp - a small glass Colosseum - can only come from Italy. Its designer, Umberto Asagno has combined a simple metal base with a refined glass shade and so created this particular piece. The glass is brilliantly designed and works by structuring both massive and filigree. It breaks the light that comes from within, and creates an inviting atmosphere. The pretty Glasamphitheater is available in different sizes. It illuminates every environment with an elegant light accent. The implementation of the design of Asagno has made for the Klint series of the Italian manufacturer Penta. So it was only brought to the rays properly. Related links to "Klint Table Lamp"